I know it’s not Teacher’s Day yet but I’m posting this so you can plan ahead (you need to start collecting some of the materials). Do you scratch your head like me when Teacher’s Day is approaching? Don’t know what to give? Love these gift ideas because they are easy on your wallet, handmade, is as eco-friendly as possible (mostly food and minimal packaging is involved), doesn’t create clutter and best of all, they are all so pretty, I bet any teacher would love them! 1. 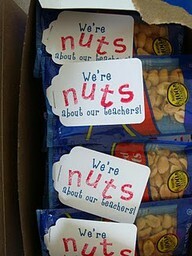 We're NUTS about our teachers! 2. 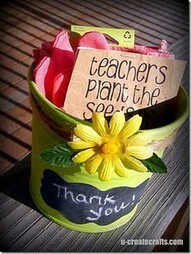 You were MINT to teach! 3. 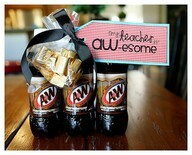 My teacher is AW-some! 4. 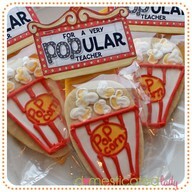 For a very POP-ular teacher. You can substitute for real popcorns. 5. 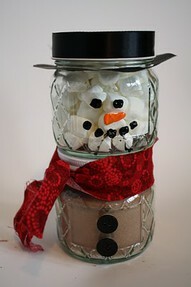 Hot chocolate mix and marshmallows snowman. Perfect for Christmas! Start collecting jars! 7. Thank you for your hard work! 10. I know this is not easy but IT'S SO PRETTY!! 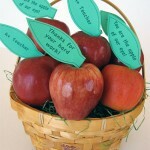 More handmade gift ideas here. 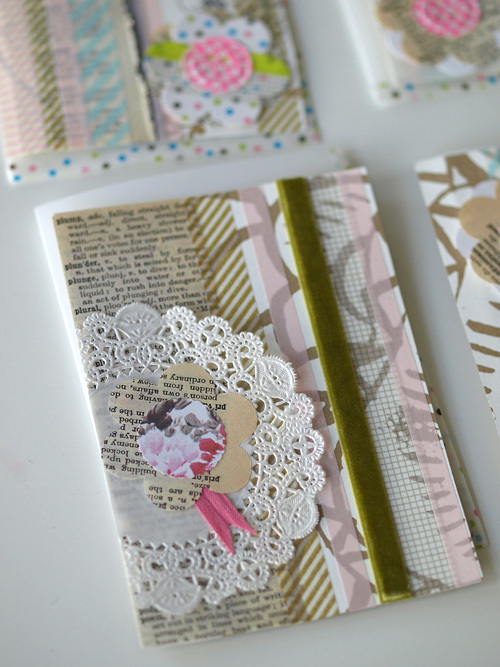 I believe the handmade notebooks have your trademark on them! hahahah!! NIce…. Guess, you’ve figured out my trademark eh? But it’s not done by me though. A Chinese friend of mine told me that her mother knit a sweater for her hardboiled egg that she carried to school each day. That was really inspiring so I made a sweater for my kiwi and then another for my banana! 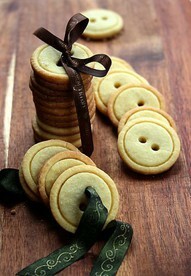 I don’t know where they are now, but they were fun and pretty easy to make!